The weekend in Islamic countries is Friday and Saturday, so today while those of you back in the UK are lazing in bed reading the Sunday newspapers, I have started the first day of the week. Friday is the equivalent of a Christian Sunday in the West. Friday prayers are the main service of the week usually accompanied by a sermon. The roads are quiet and little happens. Although supermarkets open at 8am on a Friday morning, they have to close between 11am and 1.30pm, before re-opening for the remainder of the day. On Saturday it is business as usual. Shifting the working week back one day has been easy. The first day in my Outlook diary is Sunday. I still get two days off, but it has made the week appear to go quickly. Of course, I still have to work for 5 days, but it is easy to overlook that Sunday is a working day. The model in my head is still that Friday is the end of the week, so by the time I get to Thursday I am almost always surprised that I don’t have to work the following day. 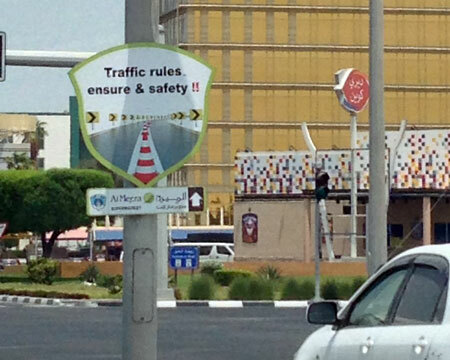 I am fairly certain there is a quite different understanding of road safety in Qatar. I have already reported that driving in Qatar is one of downsides of living here. Not only is it the number of cars on the road, the driving style of many road users but also the mindset that does not seem to encompass the possibility of accident and injury. The most frequent accident would appear to be the rear end collision, which also often results in front end damage for the vehicle in front as it is pushed into the vehicle ahead of it. Again roundabouts are a frequent accident black spot hence their gradual replacement with controlled road junctions. When I arrived, I assumed that talking or texting on a mobile phone was compulsory as almost every other driver appeared to be in communication. Clearly these people all have a much wider social circle than I do and cannot fit these personal conversations into the working day. I grew up in the pre-seat belt era of motoring, and as a child I sat without restraint on the front seat of my father’s car. The walnut fascia of a 1960s Rover 90 received 2 top incisor marks when my brother hit the shiny wooden surface. My own children were forced into small car seats, then booster seats and finally adults seat belts. The children in Qatar can, and usually do, roam freely about the vehicle. That includes moving about, standing up and hanging out of the windows or sunroof. I have even seen a boy who was certainly too young to have licence at the wheel of a Landcruiser. It is not unusual to see a child on the lap of the driver. I have no photographic evidence to back up these claims as, of course, it would be dangerous to take pictures whilst driving. 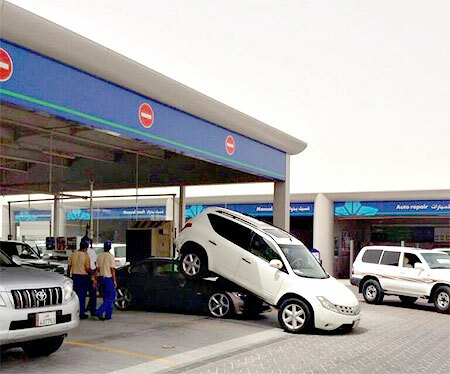 The Qatari government are naturally concerned to improve road safety and existing laws which make all of the current behaviour traffic offences. Safety awareness signs often appear at road junctions, although the one above has obviously lost something in the translation from Arabic to English. This summer 7,000 baby car seats are being distributed to newborns at the Hamad Hospital as part of a safety initiative. But until drivers, both local and expat have a better understanding of inherent dangers of driving and a culture of safety is imposed, I doubt that will much will change and that road accidents will remain frequent. It is now twelve months since I arrived in Doha. The initial optimism and enthusiasm for a new life in a new country thousands of miles away has not diminished. I have chronicled much of these twelve months in this blog and I will continue noting things that interest or amuse me until nobody reads it any more. I have been surprised by the number of times the pages are viewed. I don’t say ‘read’ as I have no idea whether people arrive via Google and are then disappointed by the content and head off elsewhere in the web. Of over 11,200 views, 4,938 are from people in the UK, 2,222 in Qatar, 1,100 in the USA, 485 in Belize and 282 from Canada. I can certainly identify the Belize readers with some certainty. A number of these views are doubtless from friends, relatives, acquaintances and former colleagues who are following our adventures in the Middle East… the remainder are from all across the world including people who, like us, are expats in a new country or potential expats finding out more about life in Qatar. I am also following a few blogs written by people who, like me, have moved to Qatar. On a weekend afternoon out at Katara in the early summer I saw what looked like a familiar face. We’d never met before but we both instantly recognised each other from photos in our respective blogs. Another blog, from a new arrival in Doha, said ‘I’ve been researching Qatar through so many useful expat blogs (I love ian-edelman.com) ‘ – thank you Holly. 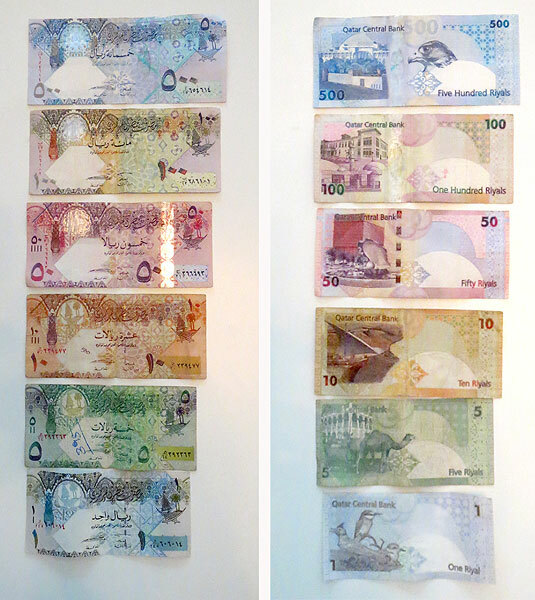 A recent conversation with an expat of 8 years began with the question ”Did I like living in Qatar?’ My answer was an unequivocal yes… yet there are many western expats who complain about life here despite the high, tax free incomes and all pervasive service economy which makes life much easier than ‘back home’. Qatar is also extremely safe, albeit not that far from trouble hotspots. Of course there are negatives, such as the traffic, the sometimes oppressive heat of the high summer, but it is hard to make a long list. I don’t miss the changing seasons, the rain and cold or much else about the green and pleasant land. What looked exotic twelve month ago is now common place… the sounds of spoken Arabic, the predominant beige of the landscape, the smell of shisha, the sun and the climate, palm trees, men in thobes and women in abayas. It is now a few days after the Eid break following Ramadan. I am back at work doing a job I really enjoy. I am now looking forward to the next twelve months. 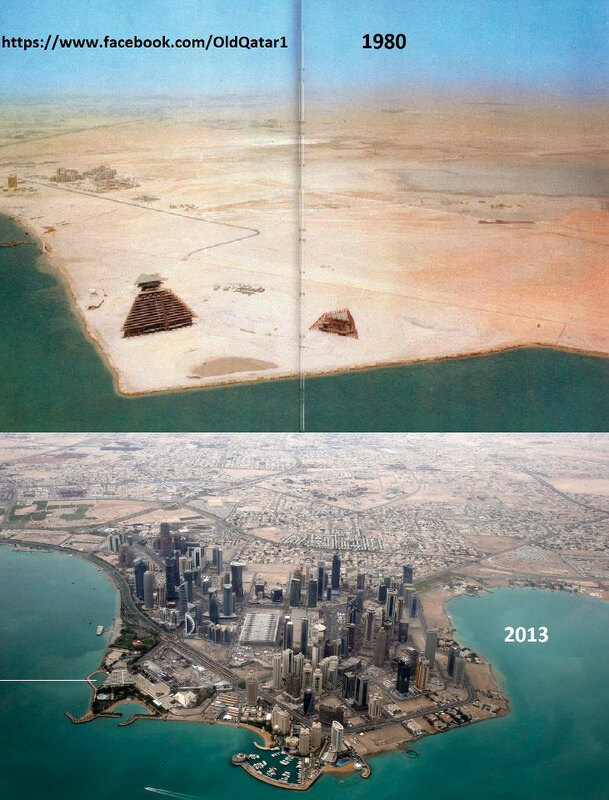 I hope Doha News will not mind me copying this photo, but it demonstrates how much Doha has changed in recent times. The building in the top photo is the Sheraton Hotel – the white line points to it today.